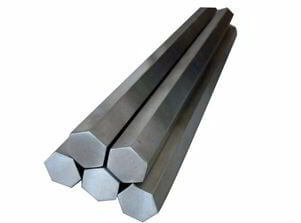 SS 316Ti Hexagon Bars, SS 316Ti Welding Rod, Type 316Ti Stainless Steel Square Bar, DIN 1.4571 Hex Rods Dealers in India, UNS S31635 Polished Bars Stockists, Stainless Steel 316Ti Forged Round Bars Distributors in Mumbai. 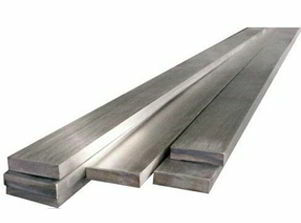 Renine Metalloys is a known distributor of SS 316Ti Round Bars, which is available in different sizes and shapes. 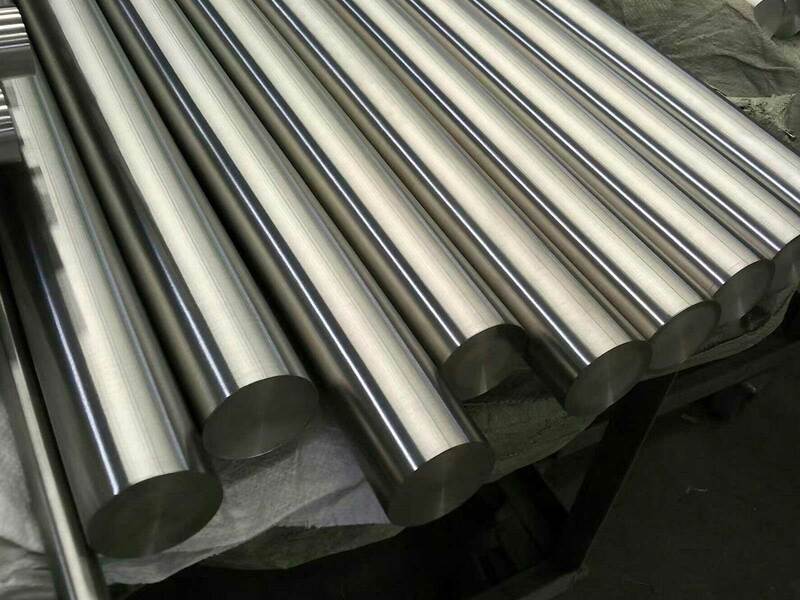 Corrosion resistance of Stainless Steel 316Ti Bars is improved, particularly against sulfuric, hydrochloric, acetic, formic and tartaric acids, acid sulfates and alkaline chlorides. This significantly reduces susceptibility of these Stainless Steel 316Ti Rods to sensitisation in service by limiting the formation of chromium carbides. 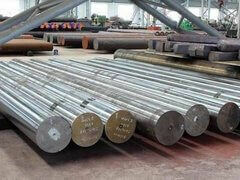 There is also some evidence that 316Ti Stainless Steel Round Bars may have inferior pitting and stress corrosion cracking resistance, compared to other stainless steel types, although the general corrosion resistance can be assumed to be generally similar. 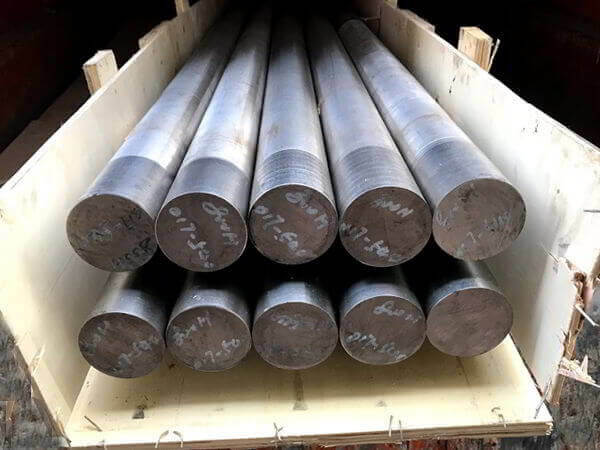 ASTM, EN or other standards may cover products sold, where further these 316Ti Stainless Steel Bars is reasonable to expect specifications in these standards to be similar but not necessarily identical. 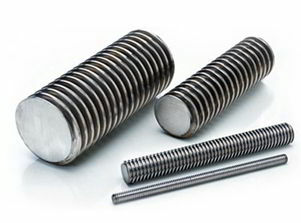 In the final analysis, for typical aqueous corrosion applications, there is no advantage to 316Ti Stainless Steel Rods over dual certified 316 / 316L. 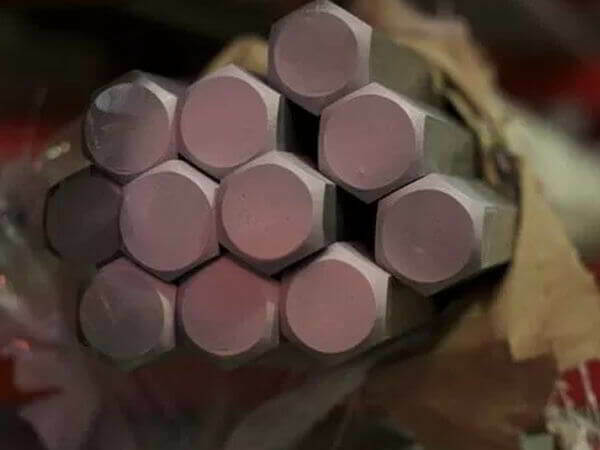 Contamination of the weld region with copper or zinc should be avoided, since these elements in these SS 316Ti Bars can form low melting point compounds, which in turn can create weld cracking. 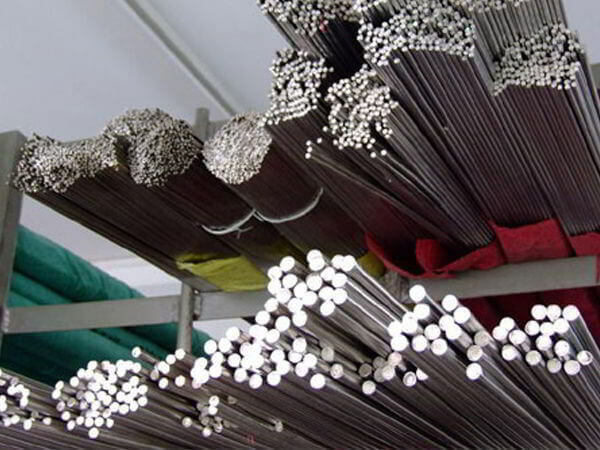 These precautions are necessary to avoid cross contamination of SS 316Ti Rods by easily corroded metals that may discolor the surface of the fabricated product. 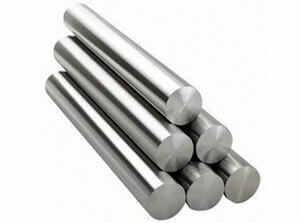 The austenitic class of these Alloy 316Ti Round Bars is generally considered to be weldable by the common fusion and resistance techniques. 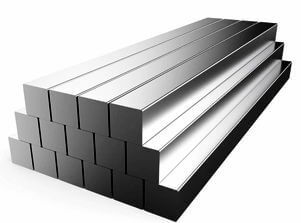 Austenitic stainless steel 316Ti Black Round Bars, ASTM A276 Stainless Steel Bars Traders, ASME SA276 Stainless Steel 316Ti Square Bar, Wrought Steel 316Ti Bars, ASTM A479 Grade 316Ti SS hot finished hexagon Rods, ASME SA479 cold finished stainless steel 316Ti Hex Bars, Lowest Price ASTM A484 wrought stainless steel bars wholesalers, UNS S31635 Cold Drawn Bars, Suppliers of Stainless Steel Round Bars, Exporters of Stainless Steel Round Rods, SS Bars Stockholders, SS Rods Stockists, Cheap Steel Round Bars, Stainless Steel 316Ti Round Bars, SS 316Ti Forged Round Bars, SS 316Ti Bright Bars, SS 316Ti Hot Rolled Round Bars Distributors in Maharashtra, SS 316Ti Half Round Rods, Stainless Steel 316Ti Flat Bars, SS 316Ti Rectangular Bars vendors, Buy 316Ti Stainless Steel Threaded Rod, SS 316Ti Triangle Bars, DIN 1.4571 Round Profile Bars, 316Ti Stainless Steel Polished Round Bars Stockyard, SS 316Ti Smooth Turned Round Bars, SS 316Ti Rough Turned Bar, Stainless steel 316Ti Peeled Round Bar, SUS 316Ti Threaded Rods, Steel 316Ti Octagonal Bars, AISI 316Ti Welding Rods, Stainless Steel 316Ti Bars Manufactures in Mumbai India. Lagos, Port-of-Spain, Courbevoie, Pune, Bengaluru, Howrah, Dubai, Seoul, Geoje-si, Algiers, Cairo, Ho Chi Minh City, Bangkok, Atyrau, Gimhae-si, London, Turkey, Rio de Janeiro, Hyderabad, Jamshedpur, Hanoi, Bhopal, Secunderabad, Bogota, Aberdeen, Ranchi, Mumbai, Noida, Surat, Abu Dhabi, Chiyoda, Riyadh, Brisbane, Busan, Edmonton, Chennai, Santiago, Nashik, Doha, Thane, Jaipur, Singapore, Jakarta, Pimpri-Chinchwad, Faridabad, La Victoria, Gurgaon, Caracas, Navi Mumbai, Chandigarh, Vadodara, Lahore, Sharjah, Kuwait City, Houston, Jeddah, Kuala Lumpur, Milan, Tehran, Los Angeles, Hong Kong, Istanbul, Vung Tau, Moscow, Dammam, Ulsan, Coimbatore, Thiruvananthapuram, Ahmedabad, Ludhiana, Dallas, Ahvaz, Toronto, Australia, New Delhi, Ernakulam, Kolkata, Karachi, Petaling Jaya, Colombo, Manama, Indore, Sydney, Perth, Nagpur, Baroda, Visakhapatnam, Montreal, Al Jubail, Al Khobar, Granada, Mexico City, Calgary, Muscat, Kanpur, Madrid, Rajkot, Haryana, New York. France, Algeria, Mexico, Belarus, Thailand, Singapore, Switzerland, Puerto Rico, brazil, Sri Lanka, Philippines, Bahrain, Australia, Nigeria, Russia, Yemen, Costa Rica, Germany, Azerbaijan, Czech Republic, Peru, Hungary, Mongolia, Nigeria, Ireland, Nepal, Iran, Taiwan, Lithuania, mexico, srilanka, thailand, malaysia, Gambia, Kenya, Chile, Sweden, Denmark, Kazakhstan, Italy, Portugal, Trinidad & Tobago,Tunisia, New Zealand, India, Israel, Malaysia, Morocco, Serbia, Hong Kong, Bolivia, Canada, Brazil, Croatia, South Africa, Egypt, Jordan, Macau, Slovakia, Libya, Greece, Vietnam, Bangladesh, Austria, Turkey, South Korea, Afghanistan, Poland, Estonia, Chile, Lebanon, Bhutan, Bulgaria, United States, Romania, Ghana, Oman, Gabon, Zimbabwe, cyprus, Tibet, Argentina, Namibia, Iran, Japan, Colombia, Netherlands, Finland, Ecuador, Saudi Arabia, Ukraine, Venezuela, Indonesia, Poland, United Kingdom, Norway, Mexico, Kuwait, Spain, Qatar, China, United Arab Emirates, Belgium.